We were wondering how you "celebrated" your beautiful pets this week? Or do you just care for them and enjoy one another every day of the year, like we do? And while we're doing all this celebrating this month, did you also know that June is National Pet Preparedness Month? 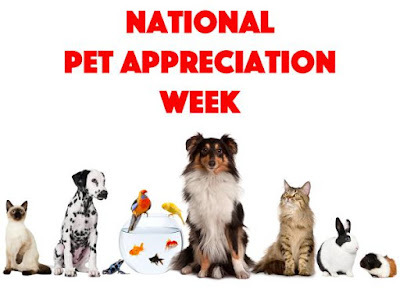 Not exactly a cause for celebration, but you know how we feel about preparation and planning for you and your pets! Here's a fun video clip from a TV Station in LA that showcases both of these important topics with Chief Veterinary Officer of the American Humane Association, Dr. Kuane Stewart. And don't miss "Happy" the adorable scruffy dog who's the official canine ambassador of Hallmark's "Pet Project", that highlights the joy pets bring to our lives. We hope you enjoy!